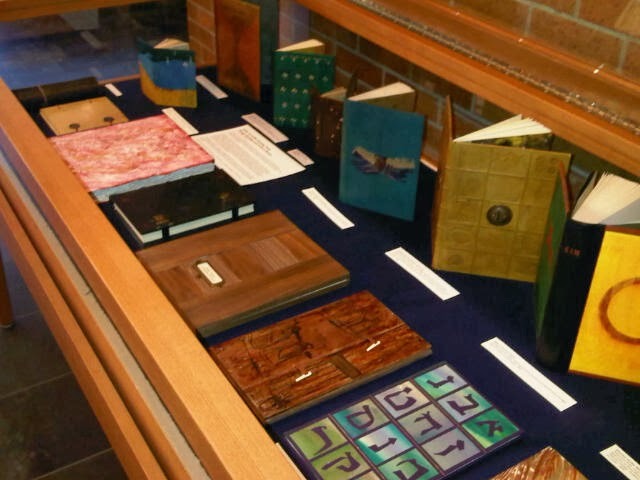 In the past 30 or so years, seemingly whether time has permitted or not, I have occasionally caught myself taking this precious commodity away from my work as a bookbinder and restorer to produce what I have always called “my own” work. This has usually taken the form of design bindings, i.e. interpretative fine bindings of an existing text, and artist’s books in which I have acted as creator of both text and binding. 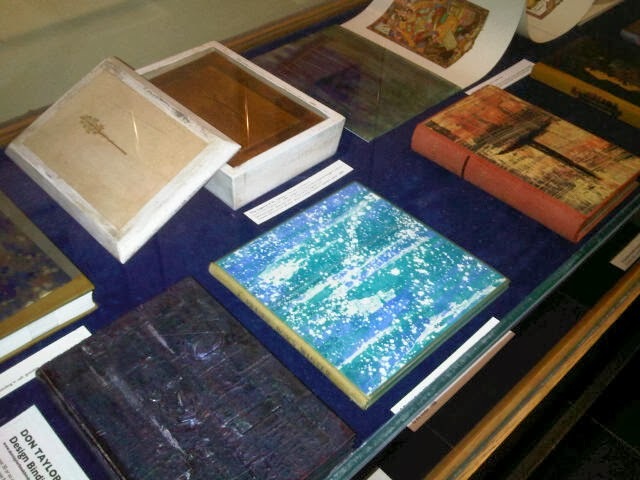 The impetus has frequently been to take part in book arts exhibitions such as “The Art of the Book”, a major Canadian show mounted every five years by The Canadian Bookbinders and Book Artists Guild. 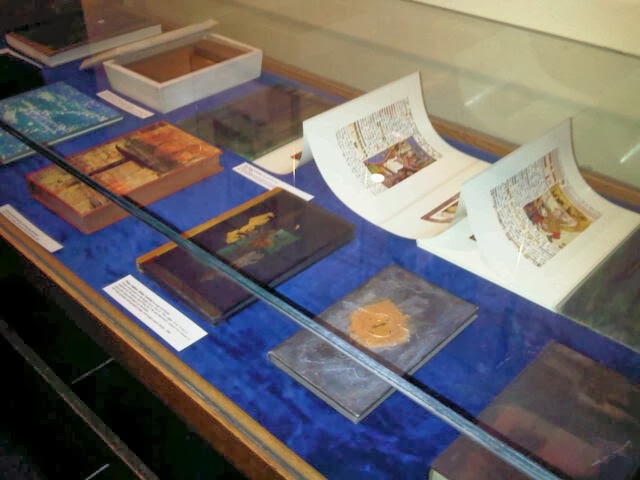 And in recent years, I have had to sneak periods of up to a few weeks on the trot to take part in shows conceived and executed within the small community of letterpress printers, binders, calligraphers, and others committed to the book arts. These are my friends and colleagues. I have tried to spin the enormously creative contact available from such people as George Walker, Will Rueter, Margaret Lock, Susan Warner Keene, Nancy Jacobi and my studio partners, Reg Beatty and Kate Murdoch, into experiences that take me deeper into exploration of skills or new directions. These moments of stolen “me time”, as much as they are challenging and even infuriating, are as wonderfully luxurious and satisfying as an extended bubble bath. Nevertheless the market for such work lies in the range between small and non-existent. So what is the point of this kind of larceny? Love of the materials, respect for collaborators, and the desire to “make”- that’s what makers do-all in the name of keeping books, in all their incredible variety, going strong. After all, the book is of course incomparably civilization’s greatest achievement. Let’s not forget that.